impressions of your products and services. 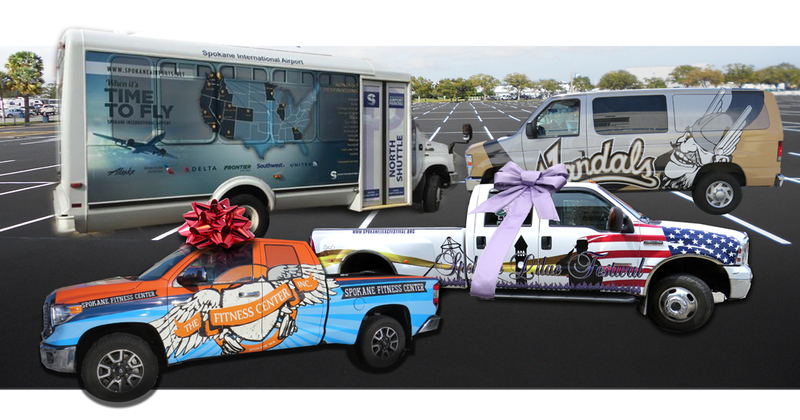 Your vehicles are like blank canvas-let our digital printers produce high quality graphics, whether simple or high impact with the “Wow” factor, to project your company image in transit. Enjoy this Holiday Season…the cheer, the music and the spirit of giving…It’s getting chilly outside, time to get a Wrap for your vehicle!